Trees grow in surprising places. 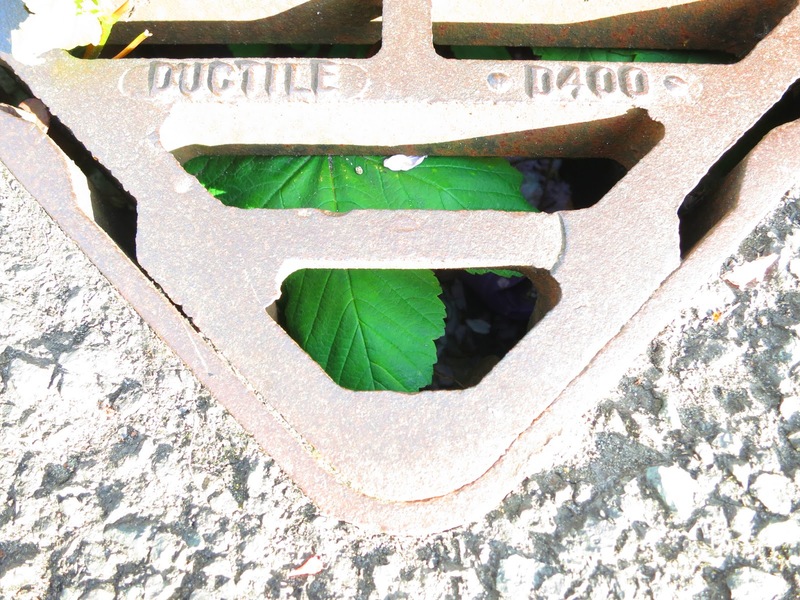 I've been following this sycamore in a drain for several years. Yes! There are trees growing underground. Why don't you see if you can find some too? It's the 7th of May. This is going round almost too fast! How are your trees coming along? Fruits and seeds beginning to show? Settling in or ready to go? What's happening to your tree? Wherever you are - we're dying to know! The link box for Tree Following Posts is at the foot of the page. Hi Lucy - I learnt two things about my tree this month that I didn't know before: One that it has little round flowers and two that the saplings in my garden may not be beech after all! Great meme - looking forward to seeing what has happened to the other trees this month. Morning Annette - good to know now where hayfever comes from! Great, I was out taking photos this morning & have added my link for this month. Take care. I really enjoy this. It always makes me smile. Don't they ever clean your drains? This month is all about blossom for the two trees that I'm following. My favourite time of year! Am really enjoying this meme, and reading about other people's observations, THANK YOU! I've added my link to this month. I am really enjoying this meme and reading about every else's trees. Checking out how all the trees are doing. How quickly things are moving now, it can change daily. I will try and get a tree in....! Link added, but I've got the URL wrong again! so it links to the newest blog rather than the tree one! One day I'll get it right. Such a good meme for making me really look, instead of just rushing past… thank you! Amazing how quickly another month has gone - will return later Lucy to visit other trees and their humans. Lucy, have sent you an email ... Mr Linky has rejected my url (I think). Thank you, Lucy, for checking this out ... I am now connected. NOW the tree following post is published! I'm not sure how to delete the link on your blog. So will leave it to you. At least I know what I did wrong so should get it right next month! Made it in May. That month flew by. I'm really enjoying the tree following meme. Thank you for hosting it. It makes us pay far more attention to trees and it is a great opportunity to do a bit of research and find out all about our chosen trees. I'm loving this monthly record of my tree, it is beautiful with all its blossom at the moment. Doesn't the time go quickly though?! Hi Lucy, my hawthorn very thoughtfully saved itself and started blooming yesterday, perfect timing! Thanks for hosting again Lucy! Typo ... we were on our 'hols' for post no. 2 ... not down a hole as my last comment suggests !! It looks like I'm going to have to wait a week or two before she opens up her blossoms...something to look forward to. This month I have learned that my tree is having a quiet year. There`s not nearly so much blossom as there was last spring. Oh, I want to save that little tree from the drain and plant it somewhere where it can grow, grow, grow! Not so much of a tree anymore, my lilac, but it's showing promise as a bush. Looking forward to seeing what happens. Lovely meme. Thank you for hosting. I've just posted my tree following post for this month, and added it to the links. It's good to see so many people posting updates as they have, and which I'll enjoy looking at later today. what a difference from last month! enjoying this, thank you for organizing this Lucy. I can't thank you enough for starting me on this new adventure! Rapidly becoming a bit of an obsession. I look forward to looking at all the other tree followers' posts. Oh, if only a month had made a difference! My corkscrew hazel is showing promise, with lots of buds. Imagination has to do the rest. But next month... can't wait! The buds on the Shagbark Hickory are a little delayed this year, but I should have more to share next month. Thanks, again, for hosting! Just made it from way over here in Australia - seriously though just bashed out an assignment for Uni so finally had some time to write for myself. Phew, made it easily this month... well, with 14 hours to go, it feels like I made it with time to spare! It's been a chilly late April / early May so my tree hasn't maintained the progress it made in warmer early April. But that's the climate in northern Europe for you... a warm early spring often flatters to deceive. Tomorrow, internet connection permitting, I will have time to browse some progress other people's trees are making. I've not had chance in the past few weeks. 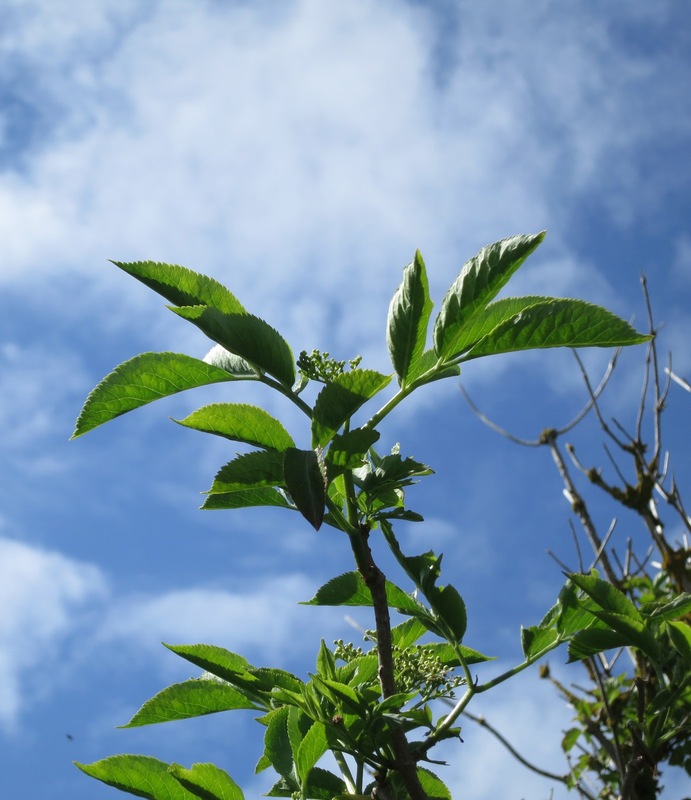 Too late for the link this month but I have blogged about my little rowan tree. It did decide to burst into life after all!